WACO, TEXAS — The American Football Coaches Foundation today announced that David Sokol, Chairman of MidAmerican Energy Holdings Company, is the 2008 recipient of its CEO Coach of the Year Award. This is the highest honor bestowed by the organization, whose inaugural recipient in 2006 was Jeffrey R. Immelt, the CEO of General Electric. Domino's Pizza CEO David Brandon received the honor in 2007. Sokol was selected for the award by a unanimous vote of the AFCF Board of Directors. He will be honored at The Foundation's CEO Coach of the Year Dinner, held at The Waldorf-Astoria in New York, N.Y., on December 15, 2008. "David Sokol is the third outstanding leader from America's corporate world to be named the American Football Coaches Foundation's CEO Coach of the Year," AFCF Executive Director Grant Teaff said. "Like Jeffrey Immelt, CEO of General Electric and David Brandon, CEO of Domino's, Mr. Sokol clearly possesses the leadership traits that our profession desires to emulate. The leadership that built MidAmerican Energy Holdings Company is applied to community involvement and nationwide interest in helping America's youth learn leadership skills to create success in their own lives. "David teaches the importance of balance between professional lives and personal lives, and lives it. The American Football Coaches Association and the American Football Coaches Foundation are honored to recognize David Sokol, Chairman of the Board of MidAmerican Energy Holdings Company, as 2008 CEO Coach of the Year." "The opportunity to coach an athlete or a business executive is both an honor and an obligation," Sokol said. "I have been blessed to have great coaches in my life, and my favorite part of business is watching young executives blossom. I am sincerely humbled to receive the American Football Coaches Foundation CEO Coach of the Year award. As we all know, great players make coaching look easy." MidAmerican has $39 billion in assets and is a subsidiary of Berkshire Hathaway Inc., which owns 88.2 percent of the company. 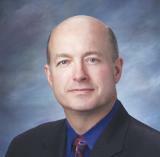 In February 1991, Sokol joined MidAmerican as chairman, president and chief executive officer. At that time the company owned and operated one geothermal power project, which it had developed and constructed. Today, the company has grown into a thriving worldwide energy services provider with 17,000 employees and annual revenues of approximately $12.4 billion. Through its utility subsidiaries, MidAmerican Energy Company and PacifiCorp in the United States and Northern Electric and Yorkshire Electricity in the United Kingdom, the company provides electric and natural gas service to approximately 6.9 million customers. Through CalEnergy, the company's independent power production business, and the utility operations of MidAmerican Energy and PacifiCorp, MidAmerican contracts, manages and owns interests in approximately 20,000 megawatts of diversified power generation facilities, 18 percent of which is from noncarbon resources such as geothermal, wind, other renewables and nuclear. With the acquisition of Kern River Gas Transmission Company in March 2002 and the acquisition of Northern Natural Gas Company in August 2002, MidAmerican established itself as a leading owner of interstate natural gas pipeline systems in the United States. These companies deliver more than 8 percent of the average daily volume of natural gas in the United States through their combined 17,400 miles of pipeline. Sokol earned his Bachelor of Science degree in civil engineering from the University of Nebraska at Omaha in 1978 and holds an honorary doctorate degree from Bellevue University, Bellevue, Neb. A native of Omaha, Neb., Sokol has been active in the community throughout his career. Sokol enjoys hunting, fishing, running and skiing. Sokol and his wife, Peggy, have a son, D.J. (deceased), and a daughter, Kelly. The funds raised from the CEO Coach of the Year dinner will support the AFCF's education initiatives through the American Football Coaches Association's publications, website and national convention. More than 6,000 football coaches from all levels attend the national convention, and more than 10,000 football coaches globally benefit through personal, technical and leadership development. Because of The Foundation, football coaches on all levels nationwide pay minimal membership dues and are never charged a convention fee. The AFCF, a 501 (c) (3) nonprofit organization was established by the American Football Coaches Association in 1998 to fund its education mission. Its specific responsibility is to seek contributions from a broad range of donors - friends, businesses, corporations, foundations and trusts, to support and implement existing AFCA educational programs; and, to develop exciting and dynamic new initiatives that will serve the coaches, the student-athletes, and the schools they represent. Contributions generated by The Foundation will ensure that the coaching community will continue to have the finest possible professional development and educational tools, now and in the future. MidAmerican Energy Holdings Company, based in Des Moines, Iowa, is a global provider of energy services. Through its energy-related business platforms - PacifiCorp, MidAmerican Energy Company, CE Electric UK, Kern River Gas Transmission Company, Northern Natural Gas Company and CalEnergy - MidAmerican provides electric and natural gas service to more than 6.9 million customers worldwide. Information on MidAmerican is available on the Internet at http://www.midamerican.com/. For more information on the AFCF and its programs, log on to the AFCF's website at http://www.afcf.us/.